Saturday morning I attended a board meeting in Pittsburgh, for a public health ministry in Nicaragua. We chose Pittsburgh because of civil unrest in Nicaragua, It wasn’t safe for us to travel. Our board’s focus was on how to provide access to health care, in the midst of growing violence and uncertainty in that country. We chose Pittsburgh because it was easy to get to and considered safe. As we met, several miles down the road, a man with an assault rifle entered Tree of Life Synagogue and murdered eleven Jews gathered for worship. They were the ‘minyans’ mainly older faithful Jews, who gather early, to begin the Saturday morning Shabbat services. Others, such as busy parents, would join them as their schedules allowed. The role of the minyan is to hold the sacred space, for others to join them. 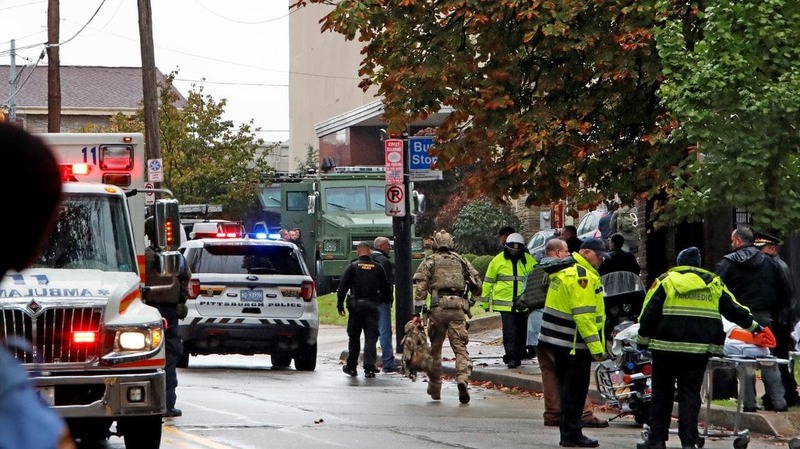 It was a typical Shabbat, until a white male with a history of anti-Semitic and anti-immigrant rhetoric, broke in and murdered eleven…wounded several others, including four police officers. We all thought Pittsburgh was safe. The reality is we live in a volatile time. Barack Obama as the first African-American elected president, led to a dramatic increase in white supremacist organizations. Donald Trump’s political ascendency and presidency is based in part, on promoting an ‘us’ and ‘them’ mentality. A focus on division rather than unity. This week that division was evident: Pipe bombs mailed to over 14 leaders within the Democratic Party; two African-Americans murdered at a grocery store, after the assailant was turned away from an African-American Church; eleven Jews murdered while worshiping. Each act of violence by a white supremacist. An ideology which finds encouragement (intentional or not), in the freewheeling rhetoric of our highest elected official. So what is the antidote to hate and division? The answer is simple yet profound: Building relationships. It’s hard to label a person or be indifferent to their plight, once you know their name, their story. Sunday night, we gathered as a community at Temple B’nai Abraham. My friend Rabbi Alison Adler, on only several hours of notice, gathered together 300 neighbors, from ten different faith communities, to grieve the atrocity visited upon Tree of Life Synagogue. We gathered too, in response to the nationwide increase in anti-Semitism and anti-immigrant violence. 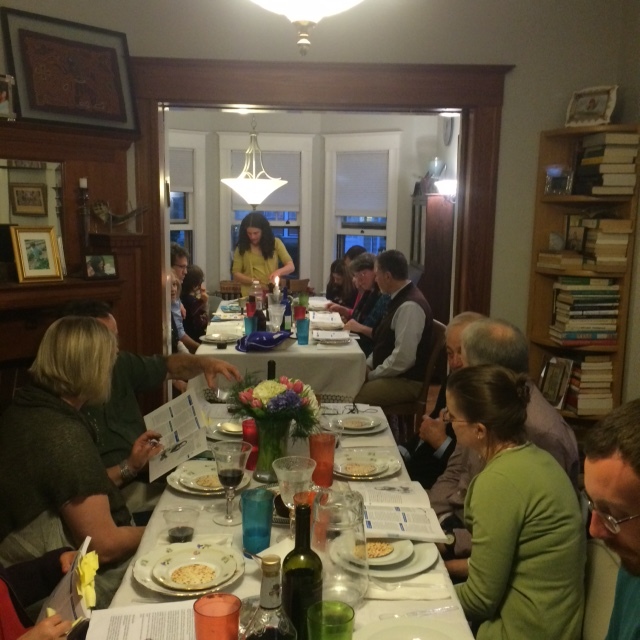 Passover at the home of Rabbi Alison. The antidote to hate and violence is found in relationship building. I challenge myself and you, to get to know those who are different from you. Get to know neighbors of different religions, ethnicities, race, nation of origin, sexual orientation, political perspective, languages. Listen to one another’s story. Let the other get to know you. If you don’t have enough diversity in your life, then get out of your zip code. Reach out. Find ways to rub elbows. Break bread, sip wine, play games, talk with… someone who is different than you. As relationships are built, prejudices based on ignorance, melt away. The rhetoric of fear and the house of cards it is built upon, collapses. The poet William Stafford, writes ‘the real enemy, is the one who whispers in your ear, telling you who to hate’. As citizens, as neighbors, may we be wary of those who sow division. On Sunday night, Temple B’nai Abraham was a beautiful mosaic of faiths and backgrounds. We gathered to grieve with and draw strength from the company of one another. Jesus said, ‘perfect love, casts out fear’. May it be so. For all of us. Dear Kent – Thank you for this piece. Sunday morning I shared with the small group I was meeting with (adult Sunday School) that you, a pastor now living in Massachusetts, had been in Pittsburgh for a meeting on violence in Nicaragua on Saturday. So glad you weren’t harmed. God bless you as you promote love and peace with our neighbors. Marge, thanks for reading and your comments. I’m glad we continue to be in touch. My time at Covenant is one I’ll always treasure.